TV star Ross Kemp has backed a major fundraising drive to help Britain’s wounded veterans who are at risk, some battling the evils of unemployment, isolation and struggling with their mental health. 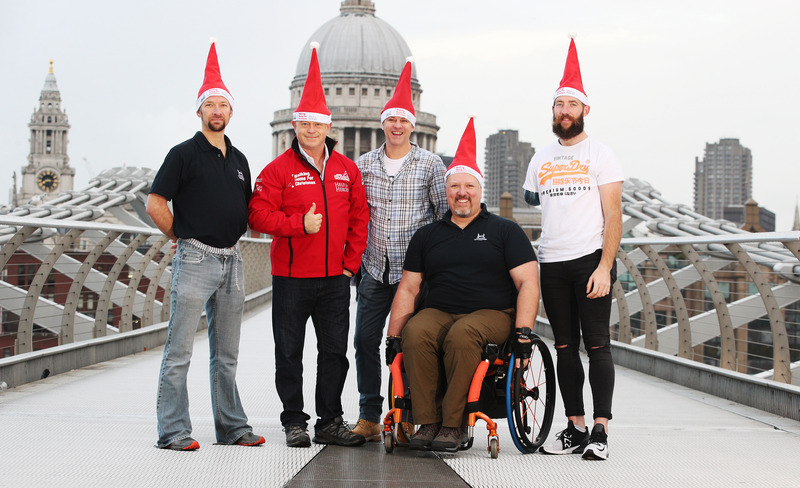 Two of Britain’s leading military charities – Help for Heroes and Walking With The Wounded – have joined forces for this year’s Walking Home for Christmas campaign, supported by British fashion and homeware retailer Matalan. They have called on Brits across the country to put their best foot forward to raise much-needed cash to help veterans and their families – simply by going for a walk. Anyone can raise money for the campaign by taking a sponsored walk between December 13th – 23rd – whether it’s taking a present to a loved one or walking to a place that means something to you. The collaboration between Walking With The Wounded and Help for Heroes comes after Prince Harry called for more collaboration within the military sector in a speech at the Veterans’ Mental Health Conference at King’s College earlier this year. The two charities have been working together delivering recovery programmes since 2012 and are honouring Prince Harry’s vision by collaborating even further. · £150 could pay for a one-day employment course. · £300 could pay for mentoring support to start up a business. · £675 is the average cost to receive 12 mental health therapy sessions. Edward Parker from Walking With The Wounded and Mel Waters CEO of Help the Heroes said “By creating your own challenging walk and fundraising you can give hope to veterans who have little to look forward to this Christmas and have walked in far more dangerous places for us. So, what better time to give something back to those who have given so much? Signing up for Walking Home for Christmas is easy and free – just log on to www.walkinghomeforchristmas.com and register for your fundraising pack.